Learn how to forgive people for good and have no regrets. Do you have a hard time forgiving someone who has hurt you deeply? Do you have bottled up anger? Do you feel like your heart is going to burst because of so much resentment? Do you often feel lonely? Do you often snap at someone? If you answered "Yes" to these questions, you may have bottled up anger, and it is ruining your life. Refusing to forgive someone who has hurt you in the past is like drinking poison. It’s toxic, and it slowly consumes your soul. It also creates facial lines and wrinkles. You have to let go of all the anger and bitterness. This way, you can move on and start a better and happier life. Release all the negative emotions that you’ve been carrying in your heart for a long time. Forgive the people who have hurt you badly in the past. Let go of all the past heartbreaks so you can love again. Eliminate all your anger-related anxiety and body pains. Release your bitterness so you can fully embrace happiness and experience bliss. Improve the quality of your sleep. You can sleep well after you let go of all the resentment. Be kind instead of being right. Let go of the past and focus on the present. Come out of the darkness and bask in the light of peace and happiness. Refrain from judging other people. Send love to other human beings. Stop playing the victim and finally become your own hero. The hypnosis program helps you heal your emotional wounds and move on with your life. It empowers you to make peace with your past and open yourself up to a happier and brighter future. 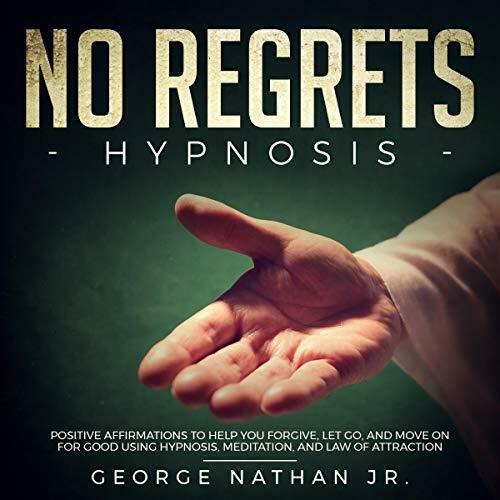 ©2019 George Nathan Jr. (P)2019 George Nathan Jr. Negative contemplation resemble weeds that develop all the time with no supporting since it's in the human instinct to consider negative outcomes. This audio book helped me in leaving behind all the negativity. It's narration is simple but very much effective. Thanks to the author and narrator for this audio book. In the event that you at any point asked why you can't do some basic things like getting out from under a negative behavior pattern like smoking, this audio book is for you. This audio book encourages you comprehend that to accomplish something cognizant personality as well as your intuitive personality must concur. The procedure clarified in the audio book causes you to speak with your intuitive personality. In my encounters, it was profoundly viable. I strongly recommend to listen. This is a serious audio book about self improvement and understanding how to get real results from yourself. Feel the real joy of doing something for yourself by yourself. There's no other feeling like it. All of us want and need to look inside and see if we can get rid of those nagging little things that seem to hold us back. Start with this audio book. It is an simple read. Easy to follow instructions. And yes instant results are possible. I have spent a most part of my life instructing others and know how difficult it is to get a process across clearly and easily. Mr. Nathan has a gift for doing just that. It is not time consuming and not hidden in details. I actually look forward to the process every day. Recommend it. This audio book has the capacity to change your life. The easy techniques described bring to any reader the power to make changes in usually hard inner feelings like hate, jealousy among many others. I strongly suggest you listen to it, obey it and move on with your life.